Reactions to new materials or objects is eliminated with stem cell therapies as the patient’s own cells. Joint pain has become a growing problem with the extended life expectancy in the US. There are about 1 million joint replacement surgeries performed in the US annually, with the number projecting to increase to nearly 4 million by 2030. Some people continue to live with arthritis, osteoarthritis, and other joint pain – some because of lack of treatment options or a fear of surgery as an option. While joint replacements have been an option for people suffering from joint pain, there are new breakthrough therapies that are not only effective but can reduce the need for surgery. Now instead of replacement, patients can opt for regenerative medicine therapies, which use cells from, the patient’s own body to heal injuries and help treat back pain, arthritis, and joint pain. Arthritis and joint pain in back, knees, shoulders, and hips etc. are a result of inflammation in joints. 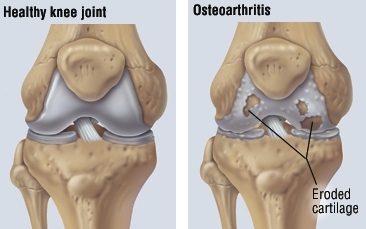 This results in wear and tear of cartilage further breaking down and leading to more pain. Joint replacement surgery is a procedure where the damaged bone and cartilage is cut away and an artificial joint, made of metal alloys, plastic and polymers; is inserted in its place. But innovative regenerative therapies like platelet rich plasma (PRP) and stem cell therapy make use of the patient’s own cells to initiate repair, and stimulate regenerative properties all while reducing inflammation of damaged tissues in some cases. The process of both PRP and stem cell extracts cells from the body, are then spun in a centrifuge to concentrate the healing cells. Once concentrate those PRP or stem cells are injected back into the body at the injury site to accelerate the healing process that would normally occur. These therapies also help eliminate the risks associated with surgery like a reaction to the metal used in artificial joints. Since regenerative therapies use the patient’s own cells and no new material is inserted the chances of reaction to anything new is eliminated. Another benefit being little to no down time following regenerative therapy, versus surgery which has a longer recovery period.